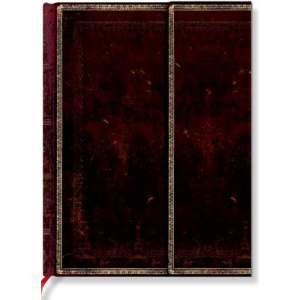 PaperBlanks Black Moroccan Flexi Lined Journal ,MINI. 4in X 5½ in — 176 pages — Smythe sewn wrap. Memento pouch — Ribbon page marker. Made to fit in shirt pockets, small purses and back pockets, this book is a delightful companion, flexible and always ready to be used.